The Ontario Highway Traffic Act defines careless driving as operating any vehicle on the highway without paying due care and attention or reasonably considering other individuals around them. The first thought that comes to mind when someone brings up careless or distracted driving is an individual using their mobile device while at the wheel. But careless driving charges aren’t limited to cell phone use. Anything from applying makeup to eating a burger could have you pulled over by an officer and charged. If you aren’t focused on the road, then you’re driving carelessly and putting your life, as well as the lives of others on the road, in danger. In Ontario, distracted driving has been the cause of the majority of fatal accidents over the past several years. 83 cases of careless driving resulting in fatal traffic accidents compared to the 46 cases caused by alcohol and drug impairment. In 2017 alone, York Regional Police charged 5,577 distracted drivers for using handheld devices while behind the wheel. That’s a 21% increase compared to 2016. Police say inattentive drivers have caused 31 deaths in almost 6,000 collisions province-wide in the first eight months of this year. New penalties for driving using a cell phone will be implemented in January of 2019 for individuals convicted of the offence. If you’re pulled over for driving using a cell phone, you’ll immediately receive a court summons. The legal system isn’t playing around anymore when it comes to punishing this sort of behaviour. Is it your first time being convicted of using a cell phone while driving? Then you’ll find that the fine will be raised from the previous $400 up to $1,000, along with a three-day suspension of your licence. Your second conviction will land you with a fine of up to $2,000 and a seven-day suspension on your licence. And as of January first, 2019, if you’ve been convicted three times for using a cell phone while driving, you’ll be facing a fine of up to $3,000 and a 30-day licence suspension. Victim fine surcharges of up to 25% of the fine will be added to those amounts. Executing these harsher penalties will hopefully get people to take driving more seriously and discourage the use of cell phones, and other distractions while driving. On the first of September 2018, more severe traffic penalties were enforced for careless drivers failing to yield for pedestrians. If you, as a driver, fail to yield at crosswalks, school crossings and crossovers, you’ll receive four demerit points and a fine up to $1,000. These have both been raised from the previous punishment of three demerit points and a $500 fine. The punishment for injuring or killing someone through the means of distracted driving has increased exponentially. Prior to the 2019 traffic penalties, individuals charged and convicted of careless driving resulting in bodily harm or death were fined up to $2,000, with a maximum jail sentence of six months. As of the first of January 2019, convicted careless drivers can get up to two years in jail and/or receive a fine of up to $50,000. Convicted drivers will also have their licence suspended for no more than five years. Established in 2013, Bulwark Legal Services has worked to make sure your traffic tickets and other offences are fought fairly. 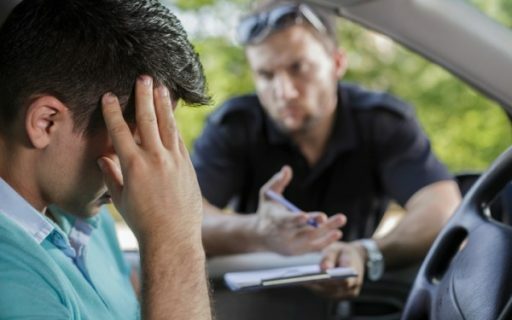 With over 31 years of both policing and court experience to fight traffic tickets, provincial offences and summary criminal charges, we strive for the best outcome for your case. With our office in Guelph, Ontario, call us, or visit our website at www.bulwarklegal.ca for a free consultation.